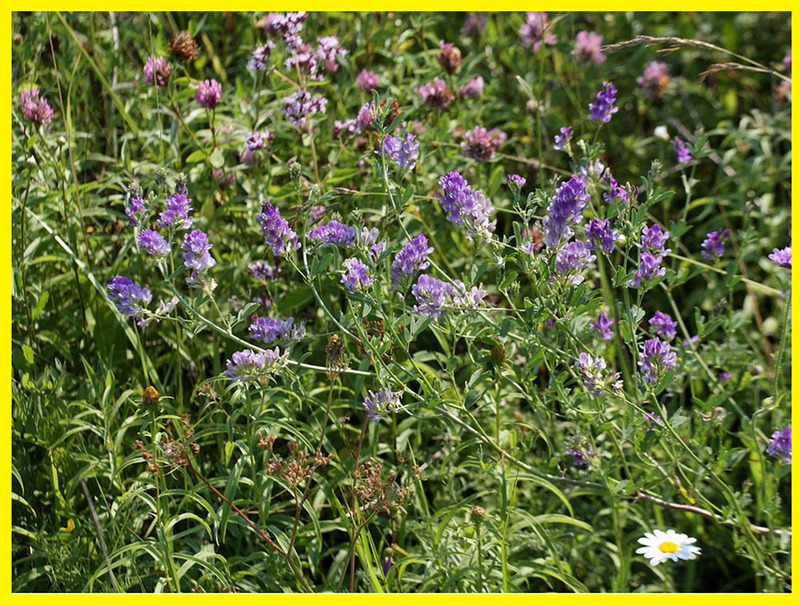 Alfalfa (lucerne) | ТОВ "Камруд агро"
ABOUT THE PLANT: Lucerne (Medicago L.) brings together about 50 species. Among them the most economic value have the next kinds: alfalfa blue, yellow, changeable. The most common, due to the high yield of alfalfa is blue one (Medicago sativa). Alfalfa is very valuable perennial grass. It grows quickly after cutting. 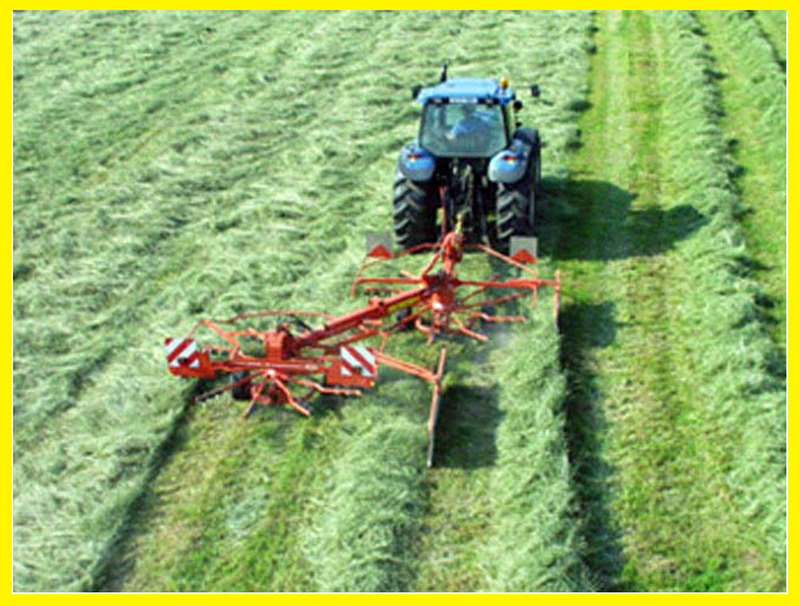 With proper agricultural engineering it gives high yields of green mass and hay, enriched with protein, vitamins and minerals. Over 100 kg of hay nutritionally equal to alfalfa 48.2 feed units and contains 8.5 kg of digestible protein. The high feeding value of alfalfa is combined with its high productivity. It grows quickly – 3-4 times during the growing season. 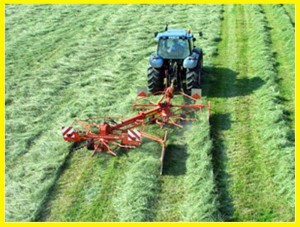 Yield of green mass can be 400-700 kg / ha, hay 50-150 quintal / ha seed 5-9 quintal / ha. It grows well in fertile, drained soils, including saline and slightly, it grows bad – on acid soils. It does not stand spring flooding. It is quite drought-resistant, but for intensive growth it needs moisture. Lucerne is able to draw root collar in the soil up to 5 cm, and it greatly increases its winter standing (can stand freezing temperatures like 20-25 ° C) and less trodden down by cattle. They sow with seed-grass drill-SZT -3.6 in early spring using string method. The best cover crops are annual grasses for green feed and spring barley. Seeding rate of 18-25 kg / ha, for seed using wide-way method 4-8 kg / ha. Depth of seal 1,0-3,0 cm. Coverless spring and summer seeding is possible. Best summer sowing dates are in Polesie and forest-steppe zone for the period from June 20 till July 15-20, in the steppe till 10-15 August. The basic requirements are sufficient soil moisture. They cut grass for green mass 2-4 times or more, pasture 4-7 times. Mowing (cutting) interval is 35-40 days. First cutting is carried out in the budding phase, the last one about 30 days before the frost. 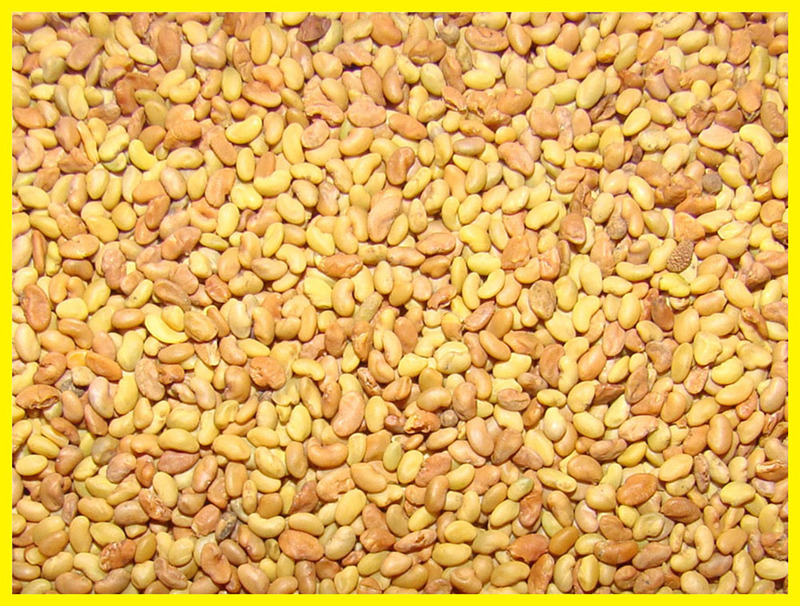 IMPLEMENTATION: Our company offers to buy luserne seeds at a good price, we offer the next sorts: Nadiya, Vira, Poltavchanka, Veselopodolyanska, Unitro, Veselka, Lydia. 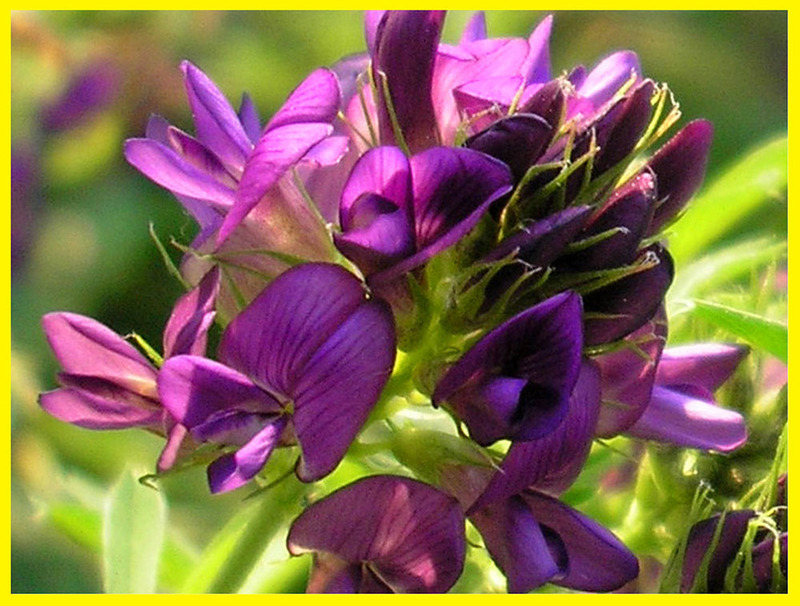 Alfalfa “Nadiya” refers to blue-hibryd a group. Bush tall (52-97 cm), strict, leaves 37-46%. Weight of 1000 seeds is 2,1-2,2 gram. The growing period 118-125 days. Resistance to lodging is high, winter resistance high. Crop capacity of green mass is about 700 quintal / ha, seesd 7,0-9.0 quintal / ha. After cutting grows quickly. This sort is the national standard of Ukraine. It is registered in the Register of plant varieties of Ukraine since 1982. 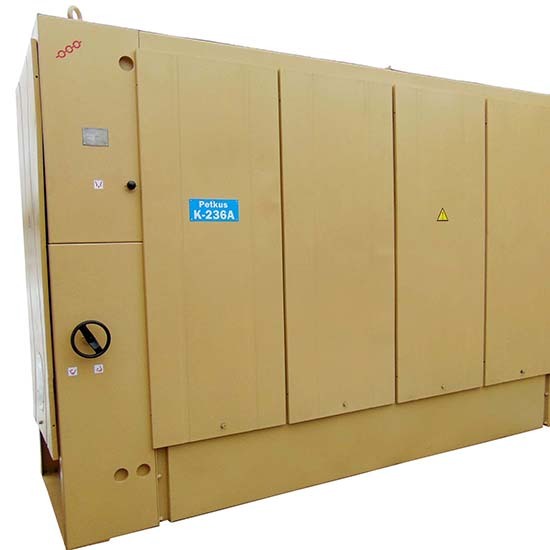 The sort is suitable for all climatic zones. 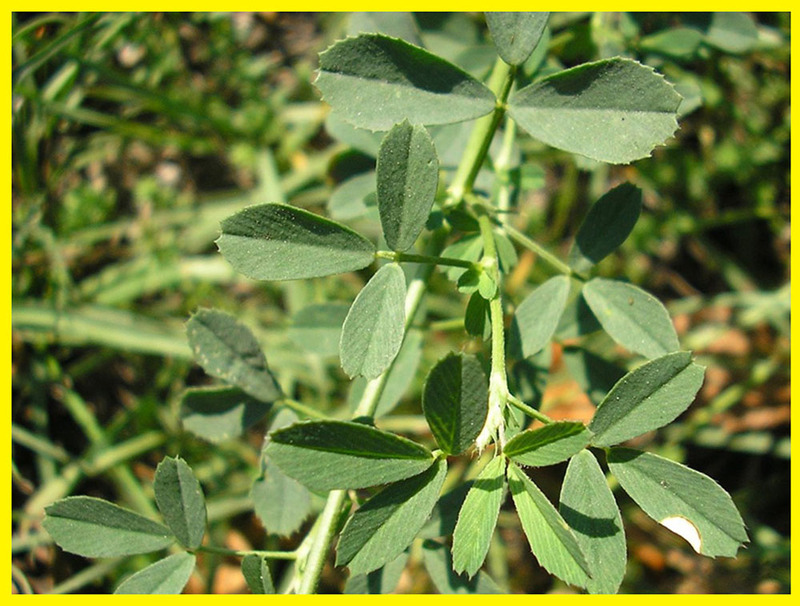 Alfalfa “Vira” is registered in the State Register of Plant Varieties of Ukraine in 1999 and is recommended for cultivation in the area of steppe and forest-steppe. Bred in Poltava State Agricultural Experimental Station. 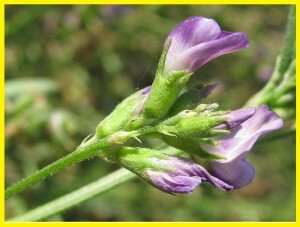 Refers to the changeable alfalfa, blue-hybrid group. The plants have rounded tall strong stems to 100 cm. Three-parts leaves with rounded or oblong-oval leaves. Root system is rod. Cones – tassel. The background color of the corolla is blue-violet. The main feature which differs from the variety of others is self-pollination of flowers. For forage productivity is at recognized varieties. This sort has energetic growth both in spring and after grass cutting. Crop of green mass is 558 quintal / ha seed – 4.1 quintal / ha. Alfalfa “Poltavchanka” is registered in the State Register of Ukraine since 1996. 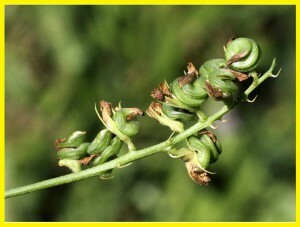 Refers to the changeable alfalfa, blue-hybrid group. The stems reach a height of 100-130 cm, beaters – blue and purple. Flowering friendly, good fruit formation. Winter hardiness and drought standing is average. Crop of green mass is 435-500 quintal / ha, hay 110 quintal / ha, seeds 5-7 quintal / ha. To get seeds its better to sow on June, 25 – July, 25. The wide-coverless method is suitable. Seeding rate is about 4 kg / ha. 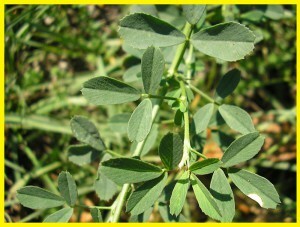 Alfalfa “Veselopodolyanska” refers to non-permanent (changeable) alfalfa or medium. The height is 56-110 cm, in terms of good moisture sufficient length may be 150 cm and more, stem thickness 1,0-1,4 mm, pubescent with short hairs. The average number of internodes is 20 spreading shrub. Inflorescence is cylindrical brush, medium size (1-4 cm), it has 7-40 flowers. Beans dark spiral (75-90%) and sickle like. Middle-grade, the first cutting for hay is 61-80 days in advance. 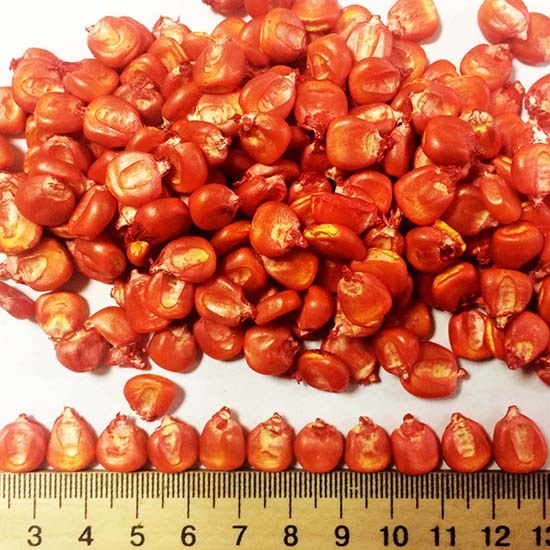 Full seed maturation occurs within 113-130 days. Winter hardiness and drought resistance is medium. Yield capacity – 2,5-5,6 quintal / ha. Registered in the National Register of plant varieties of Ukraine, Russia, Kazakhstan in 1960. 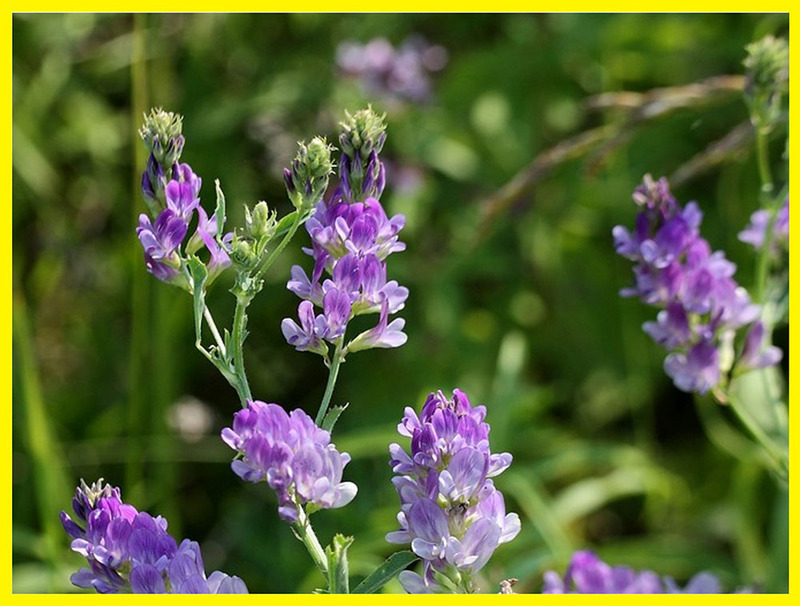 Alfalfa “Unitro” is registered in the Register of Plant Varieties of Ukraine and recommended for cultivation in the steppe zone. The plants have a strong root system that provides rapid re-growth of stems in spring and after cutting, high winter hardiness and high symbiotic fixation of nutrients. The main advantage of the alfalfa Unitro is that it provides intensive soil nutrients. 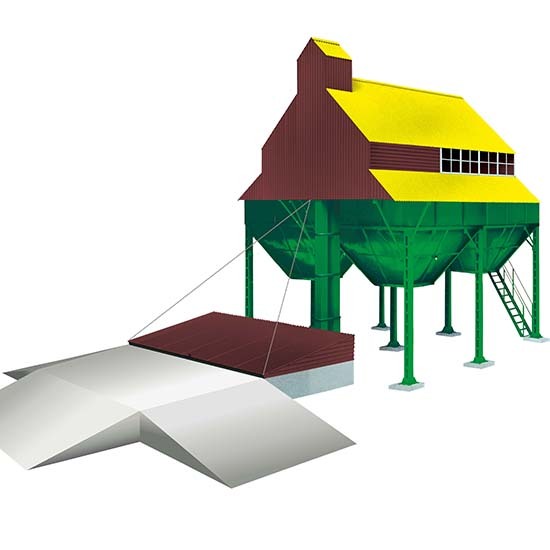 In addition, the sort provides high yield capacity of seeds – up to 8 quintal / ha of green mass 760-780 quintal / ha and hay 170-180 quintal / ha. Alfalfa “Veselka” is derived by hybridization (Progress x Nadezhda) x (Synska x Nadezhda) with the following multiple selection on complex agronomic traits in crops of late sows. Originator – NAAS Institute of irrigated agriculture. The sort refers to the variegated hybrid sort types. Bush, rosette of spring and fall re-growth of strict type. Good brunching system, middle bush, leaves 49-51%. Leaves of medium size, dark green with weak bloom, tassel short to long, cylindrical, medium density – 7-8 flowers per 1 cm. 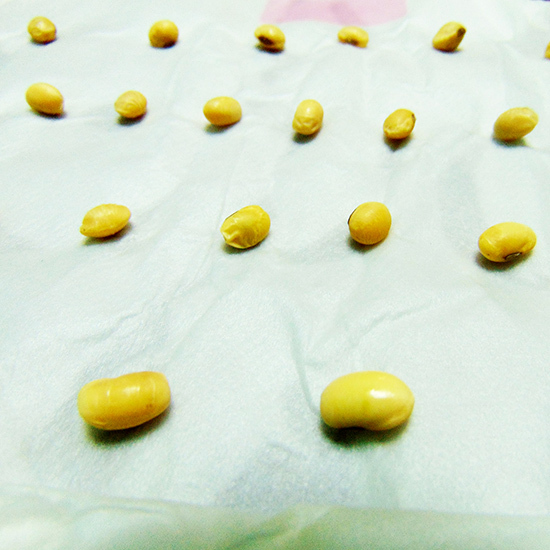 Seeds of kidney-like form, medium size, yellow. Re-growth in spring is good, after cutting re-growth fast. Specific features of the sort are: the root system is well developed. Crop capacity data: dry matter – 113-170 quintal / ha; seeds – 2,3-8,0 quintal / ha. The sort is registered in the National Register of Plant Varieties since 1998. Alfalfa “Lydia” was created by hybridization and selection of multiple best in capability and self-pollination biotypes with next formation of artificial popularization of the sort Vira. Direction of use – fodder. Sort has passed state tests and is registered in the Register of Ukraine since 2005. Plant height – 90-120 cm, Stems of strict standing form, green leaves, inflorescence multiflorous bouquet, color from light blue to dark purple, leaves without bloom. 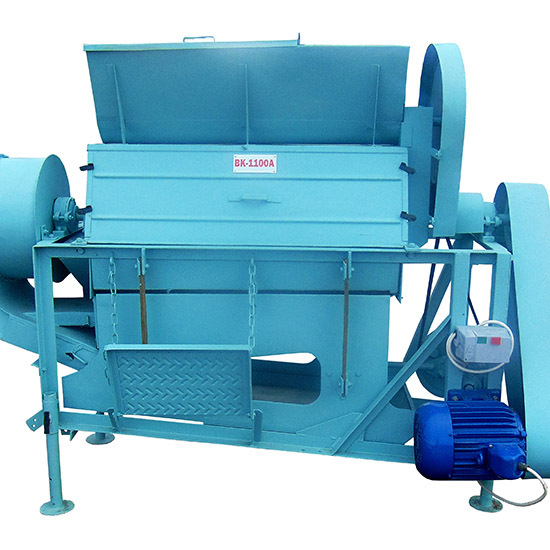 Weight of 1000 seeds is 2,05 gram, from sowing to harvest ripeness of seeds is 123 days, the gathering of dry matter – 12.6 t / ha seeds – 5.0 quintal / ha. 1. Lucerne is called “queen of plants”. 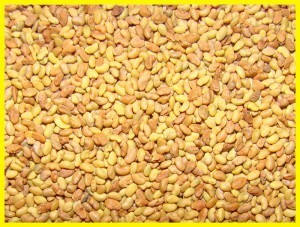 It is considered to be one one of the most saturated natural products: rich in protein, carbohydrates, cellulose, vitamin, minerals (especially calcium, phosphorus and iron), nutritious substances, chlorophyll and carotene, Containing proteolytic ferments, which cleave proteins and contribute to its assimilation, and all amino acids. 2. To Europe this plant was imported in the 5th century CE and first of all it was food for horses. 3. The powder of the leaves is used mostly as a wound healing styptic for cuts. 4. Lucerne as a forage plant is known since ancient times, about 6-7 thousand years. 5. 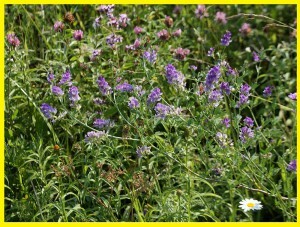 In nature there are about 100 species of annual and perennial kinds of Lucerne.